…the film took root at the studio last summer, borne out of Depp and Dembrowski’s fond memories of the original 70s movie and series that starred Darren McGavin. He covered crime for a tabloid and his cases always led to supernatural perpetrators that included zombies, vampires, werewolves and aliens. Of course, neither his editor nor anyone else would believe him or allow him to run what seemed like outrageous stories. But Kolchak would put himself in grave danger each episode. David Kennedy will be exec producer of the film. The film is being made by Disney, so expect it to more family-friendly. 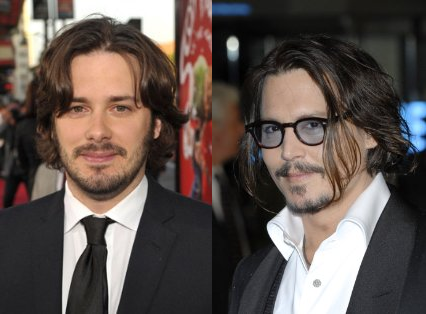 But I think bringing in talents like Depp and Wright would give the film a cool spin. I love Wright’s film-making style and I always welcome an opportunity to see Johnny Depp on the big screen. As for it being reboot… well, I’ve already excepted that reboots and remakes are what we’ll be getting from Hollywood for a long while. Might as well, embrace them! And hey, this one does sound pretty cool. What do you think of The Night Stalker reboot? Next ArticleBook News: J.K. Rowling Announces New Novel for Adults!